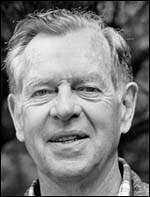 Joseph Campbell is another proof that if we are following our dreams, things will come to us in the exact timing. Even so, we do not always have the courage to choose our destiny. When you attend college, you don’t do what you desire, but you only seek to learn what is necessary to get the diploma. And this is not always the best option. ‘In my case, I was granted a scholarship and went to the University of Paris. As I arrived in Europe, I discovered James Joyce, Picasso, Mondrian – all that modern art group. Then, I went to Germany and started to study Sanskrit and got involved with Hinduism. Right after that came Jung; everything was opening up, from all sides. ‘I had taken all the necessary classes for the title; I just had to write the damned thesis. If I didn’t write it, they wouldn’t let me study further and so it was time to say: go to hell. ‘I moved to the countryside and spent five years reading. I never got my doctor title. I learned to live with the minimum possible, that gave me freedom and a wonderful time. ‘Courage is necessary to do what we desire, once others always have a plan for us. Being aware of that, I decided to follow my dream: I didn’t know how I spent these five years, but I knew I would survive another five, if it was necessary. ‘I recall an occasion in which I had a one-dollar bill in a dresser’s drawer and I knew that as long as it was there, I could still count on my resources. It was great. My only responsibility was toward my own life and toward my choices. ‘Being free implies choosing your path, and each step can change our destiny – what’s very frightening sometimes. But today, looking back, I see that my days were perfect: whatever I needed came exactly when I needed it. At the time, all I needed was to read for five years. I did it and that was essential for me.